It's like a Wii U Pro and 360 Controller mated. As if trying to mimic the vast reach of the river with which it shares its name, Amazon is pushing into the media player market. 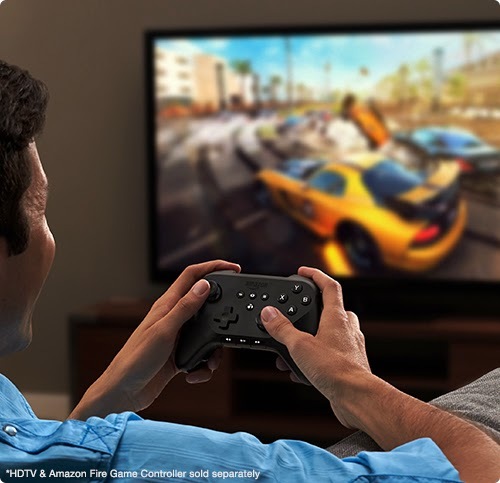 Unsurprisingly, The Amazon Fire TV will tie into video streaming services, but it looks as if games will also be a significant feature. It has a game pad and Minecraft, so things seem pretty serious. But what does the gaming library and the way it is marketed really say about how Amazon is approaching games? How will this change the console experience? Will Amazon continue on its path to knowing us better than we know each other? All this and more is discussed on this week's show.